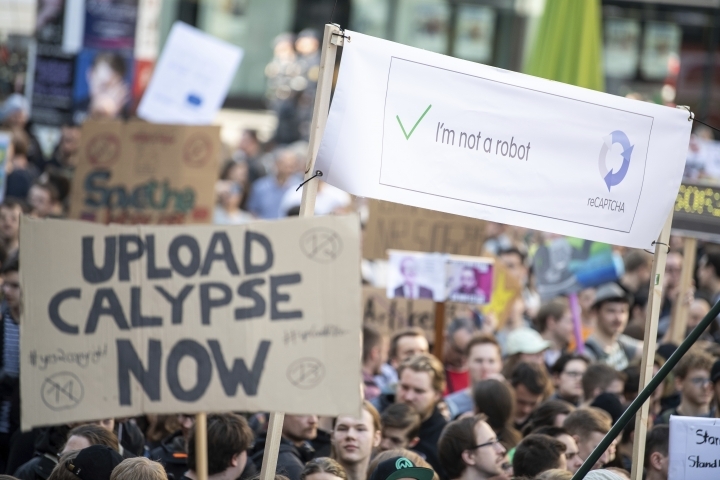 BERLIN — Tens of thousands of people have marched in cities across Germany to protest planned European Union copyright reforms that they fear will lead to online censorship. 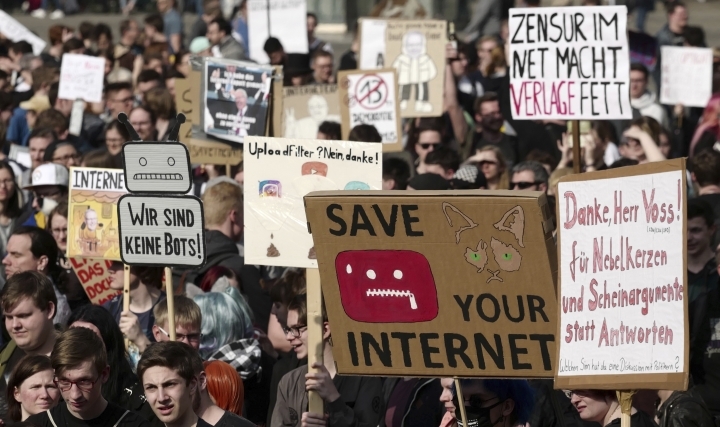 The dpa news agency reports the biggest protest Saturday was in Munich, where 40,000 people marched under the motto "save your internet." 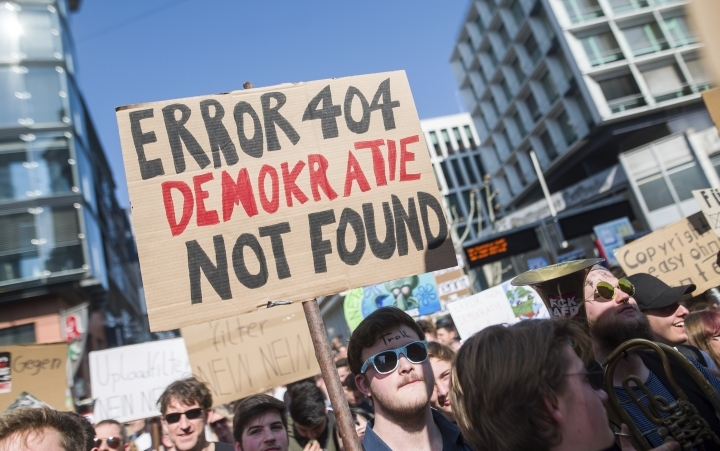 Thousands of others took part in smaller demonstrations in the German cities of Cologne, Hamburg, Hannover, Berlin and other cities against the bill that is being voted on this week. The most controversial section would require companies such as YouTube and Facebook to take responsibility for copyrighted material that's uploaded to their platforms. Proponents say the new rules will help ensure authors, artists and journalists are paid. 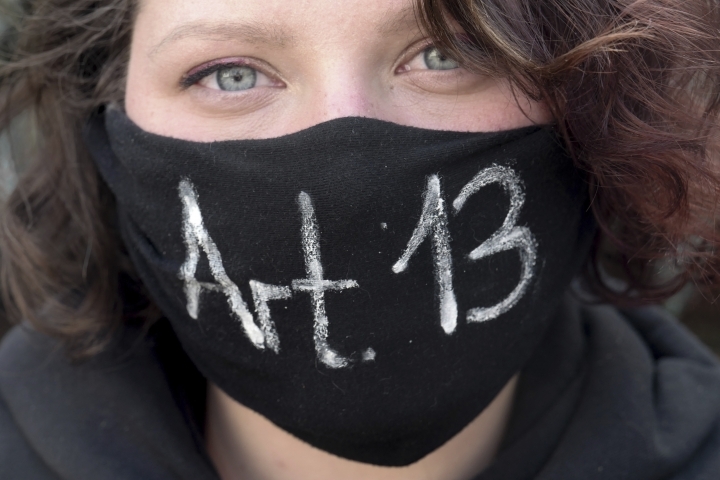 Opponents claim they could restrict freedom of speech, hamper online creativity and force websites to install filters.